Looking for a new or new-to-you car? Then you’ve probably got a car you can trade in toward it and save some cash, but how does trading in a car work? Even if you’ve traded in before, it can feel odd preparing to give up your vehicle. Auffenberg Dealer Group is here with the steps you can take before trading in your model toward one of our new vehicles or pre-owned cars in O'Fallon. Some makes and models are regarded as more or less dependable — and thus more or less valuable — but these three factors tend to trump them all. How can you find out how well your 2003 VW Golf with minimal wear and 80,000 miles is worth? Try Kelley Blue Book. While sites like KBB.com are not guarantees, they offer a range of what you can expect for your vehicle.Once you’ve done your research, you will have a better idea of what to expect when you start getting quotes. Once you have an expectation of the value of your car, it’s time to ask for quotes. Many dealerships will let you value your trade online, even, with a final inspection before they make an offer on your vehicle. You can also bring your car in and let us take a look as you shop around for your next vehicle, but we always recommend estimating the value just so you have an idea of how to plan. Even after finding a quote that you like, there is still room to negotiate for the best trade in deal. 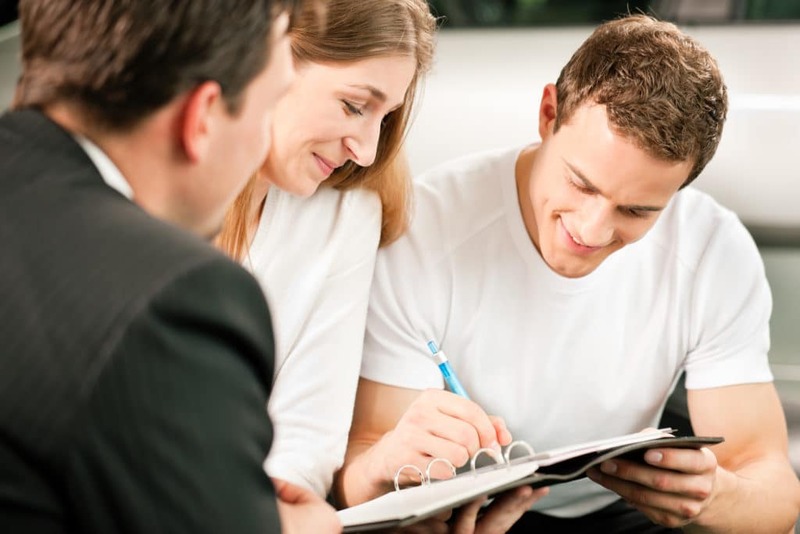 Many dealerships have additional incentives when you purchase a new vehicle with them, such as a price reduction on the new car or service perks. It never hurts to ask, and many Certified Pre-Owned vehicles come with added perks. At Auffenberg Dealer Group, we work hard to ensure that drivers from O'fallon to East St. Louis get some of the best deals on their trade-ins. We can help you value your trade, and also introduce you to a new model from our great selection of new and used vehicles. If you’re eyeing a used car, don’t forget our used car buying checklist and bring your proof of insurance and license with you. 0 comment(s) so far on How Does Trading in a Car Work?